GIK Acoustics has announced the launch of a new product series that is literally changing the face of acoustic panels and bass traps. 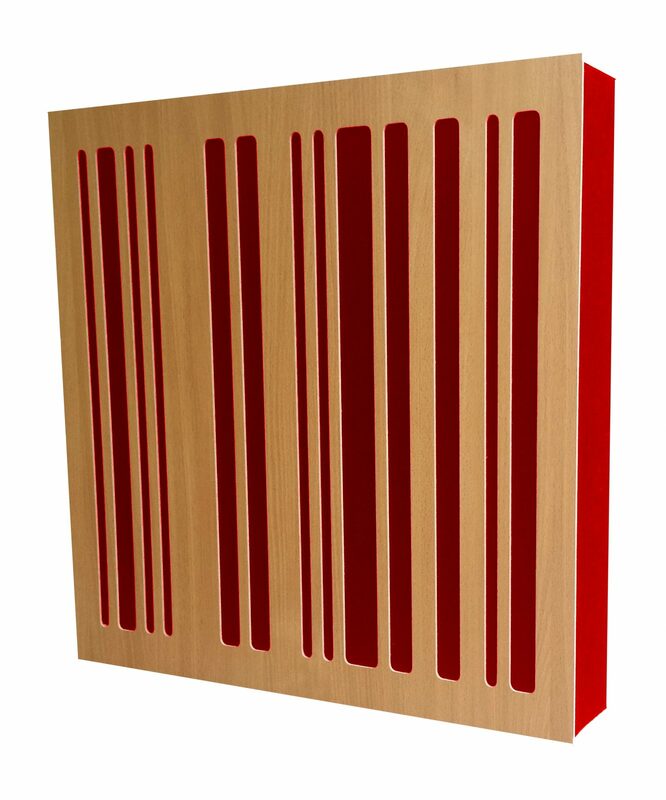 Introducing the GIK Acoustics Alpha Wood Series, a line of acoustic panels and bass traps with a wood face which has a mathematical sequence of slots for one-dimensional scattering / diffusion. The Alpha Wood Series beautifully combines absorption with diffusion and enhances any room both aesthetically and acoustically with superior quality, high-performing, and stylish room treatments. First in the series is the 4A Alpha Panel. 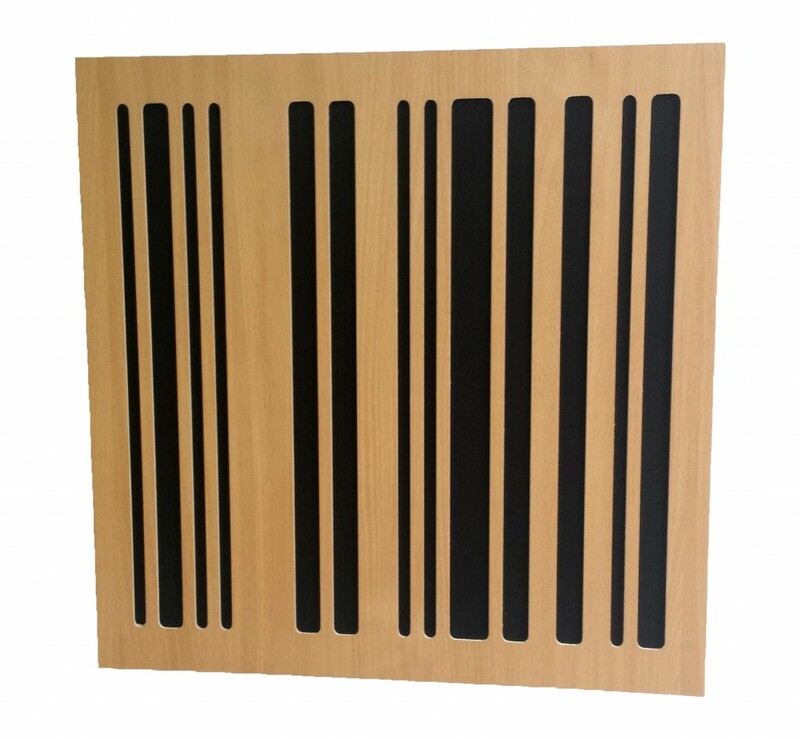 The 4A Alpha Panel is constructed as a 595mm x 595mm x 100mm wood-framed panel filled with rigid rockwool absorption material (core made from 100% recycled materials, environmentally friendly without any formaldehyde or urea formaldehyde). The panel is then wrapped in fabric and finished with a beech veneer wood face which is designed for even, one-dimensional scattering. The wood face also allows low frequency waves to pass through to the rockwool panel for better low end absorption. The company will have a public display at the 139th International AES Convention at the Jacob Javits Center in New York City, October 29 – November 1. 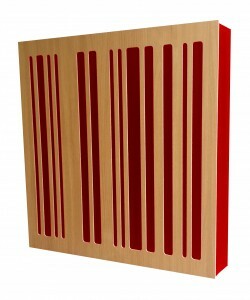 The 4A Alpha Panel is available for sale direct from the GIK Acoustics website. This entry was posted in News, Press and tagged absorption, alpha, alpha wood series, diffusion, launch.